The Why Files | 1. Danger in the OR? Dose a seven-day-old rat with alcohol, wait a few hours, and you may see thousands of brain cells committing suicide under a microscope. This makes sense, because alcohol causes fetal alcohol syndrome, which is probably due to this "programmed cell death," or apoptosis. Fetal alcohol syndrome is the most common preventable cause of mental retardation. Give common anesthetics to a young rat, and you may see a similar die-off in the brain, due to the same cause -- apoptosis. The issue has gotten almost no coverage outside the medical literature, but we need to ask: Are anesthetics as deadly as alcohol to developing brain cells? In 2003, that stark question emerged from the lab of Washington University neuroscientist John Olney. To get the message, just read the title of his report: "Early Exposure to Common Anesthetic Agents Causes Widespread Neurodegeneration in the Developing Rat Brain and Persistent Learning Deficits." (See "1" in the bibliography). "Our findings indicate that an anesthesia protocol that does not alter somatic [body] development or induce sensorimotor impairments in rats does result in learning/memory deficits that are subtle enough to be easily overlooked. Additional animal research will be needed to address the potential developmental neurotoxicity of other clinically used anesthetic protocols. In addition, well designed clinical investigations are needed to assess the potential relevance of the animal findings to obstetric or pediatric anesthesia." With this jargon, first author Vesna Jevtovic-Todorovic, an anesthesiologist, and her colleagues challenged the field of anesthesiology to prove a cherished assumption: The profound effects of drugs that "put us to sleep" are only temporary. 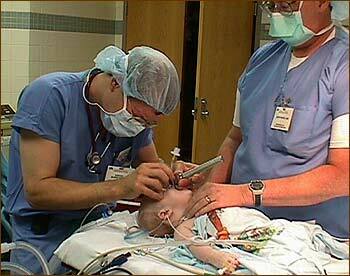 Over the past 30 years, anesthesia for children had become safe, routine, and highly effective. And now credible scientists were saying that modern anesthetics could be (not are, but could be) killing large numbers of brain cells. To many anesthesiologists, the apoptosis hypothesis was about as popular as a tomcat at a rat convention, but the anesthesiologists we spoke to ranged from skeptical to supportive. At one end is Andreas Loepke, associate professor of clinical anesthesia and pediatrics at the University of Cincinnati College of Medicine. Loepke studied anesthetics in young mice, and also saw cellular suicide, but not the memory problems that Olney found in rats. Thus he questions if the warnings apply to the real world. "If you see a disconnect in two rodent species, I don't know if you can infer that it causes brain damage in humans. I think that it's just a stretch to base that on a study in rats" (see "2" in the bibliography). In 2004, Olney had a written debate with Sulpicio Soriano, an associate professor of anesthesia at Harvard Medical School, who is now president-elect of the Society for Neurosurgical Anesthesia and Critical Care (see "3" in the bibliography). Soriano's objections to the study were conveyed in a general tone of disbelief. And yet, when we reached Soriano last week, he said, "Olney is a renowned scientist, well respected, their data is real in rodents, but whether it can apply to humans" will remain unknown until a long-term human trial is completed. At the other end of the spectrum, Mervyn Maze, head of the department of anesthetics, pain medicine and intensive care at Imperial College, London, e-mailed us to say the discovery of apoptosis and learning problems was a "startling finding. Interestingly [the field of anesthesiology] has yet to change. I anticipate that it will in the future." As Soriano indicates, Olney is not lightly dismissed. A senior brain researcher at Washington University, which has a long history of studying apoptosis, Olney helped pin fetal alcohol syndrome on programmed cell death. He has shown that one lonely drink of alcohol kills brain cells in rats whose brains are developing rapidly. Nobody has refuted his 2003 study, which found that a combination of three common anesthetics could kill large numbers of brain cells in rats, causing the animals to flunk subsequent tests of working memory and spatial learning. By 2003, researchers knew that alcohol scrambles major nerve transmission systems that rely on the signaling chemicals GABA and glutamate. 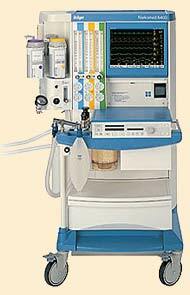 As the 2003 bombshell observed, all general anesthetics affect either GABA or glutamate. If you're a parent, you may already be thinking, "Better safe than sorry. Keep this stuff away from my kid!" But the issue is complicated. M any -- perhaps most -- pediatric surgeries are needed to correct life-threatening disorders, including those of the heart or gastrointestinal system. General anesthetics do not cause an obvious pattern of harm in children. 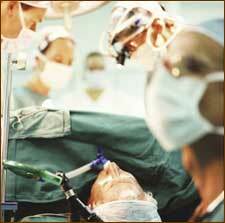 And by protecting babies from the pain of surgery, anesthetics may also protect their brains. "Babies who have had a lot of pain may have a hyper response to pain down the line," says Tonse Raju, program scientist in the Pregnancy and Perinatology Branch of the National Institute of Child Health and Human Development. He says some studies show that pain can also damage the brain through the release of stress hormones -- or even by inducing apoptosis. This article is not a call to return to the 1970s, when infants seldom got anesthesia during surgery, due to the mistaken belief that they did not feel much pain, and to the uncertain safety of the day's anesthetics in young people. Common sense and humanity both dictate the need for pain relief. But if anesthetics could be killing brain cells in young people, isn't that something we should know more about? There are 1 2 3 4 pages in this feature plus a bibliography, and a credits page.